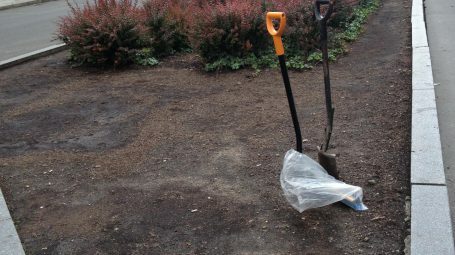 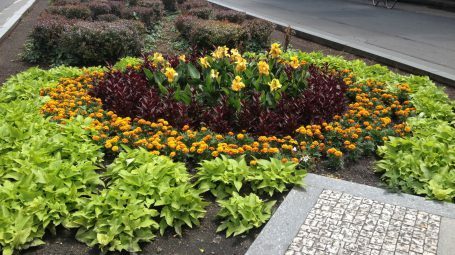 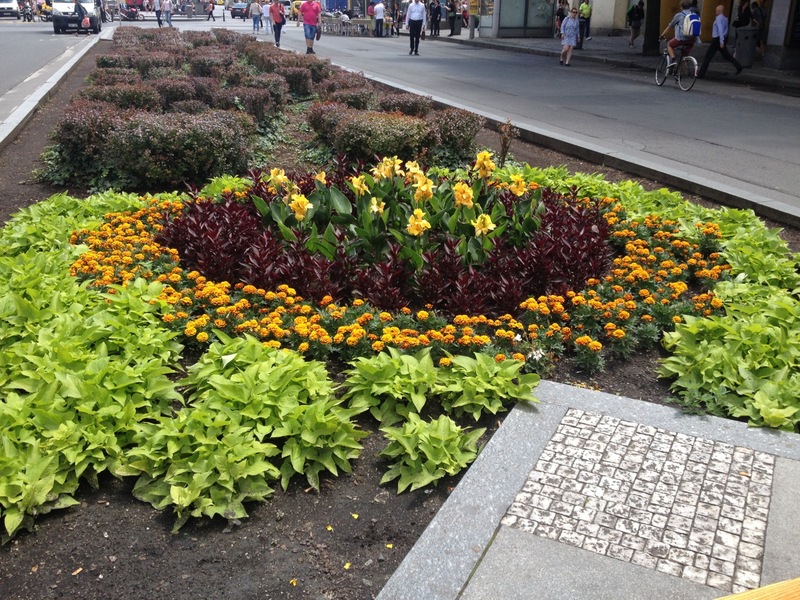 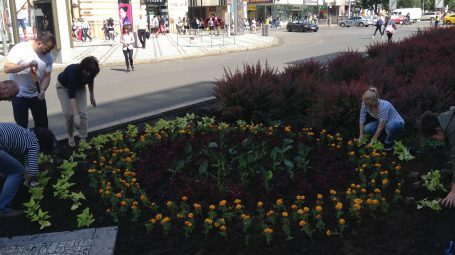 Last autumn, we “adopted” a much neglected and completely empty flower bed, which was actually just an empty, trampled piece of earth at the bottom end of the square in the centre strip roughly in front of the Van Graaf store. 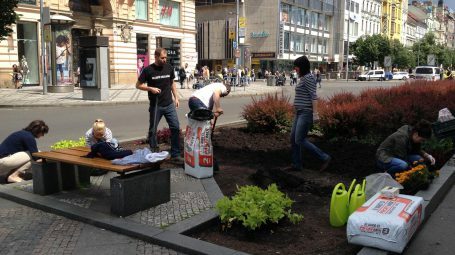 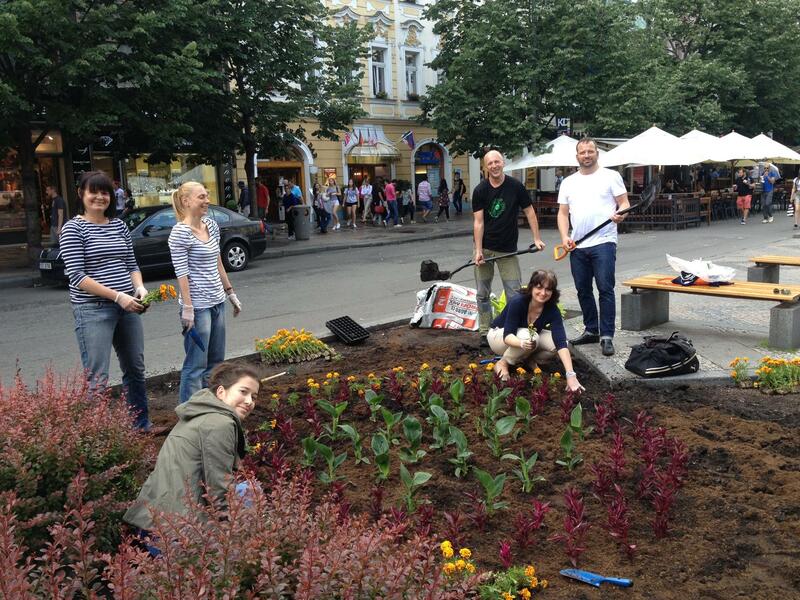 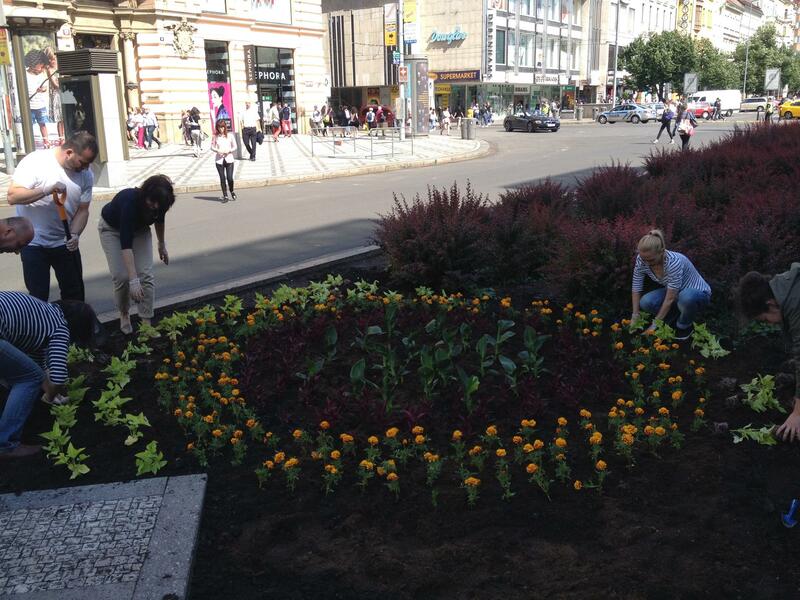 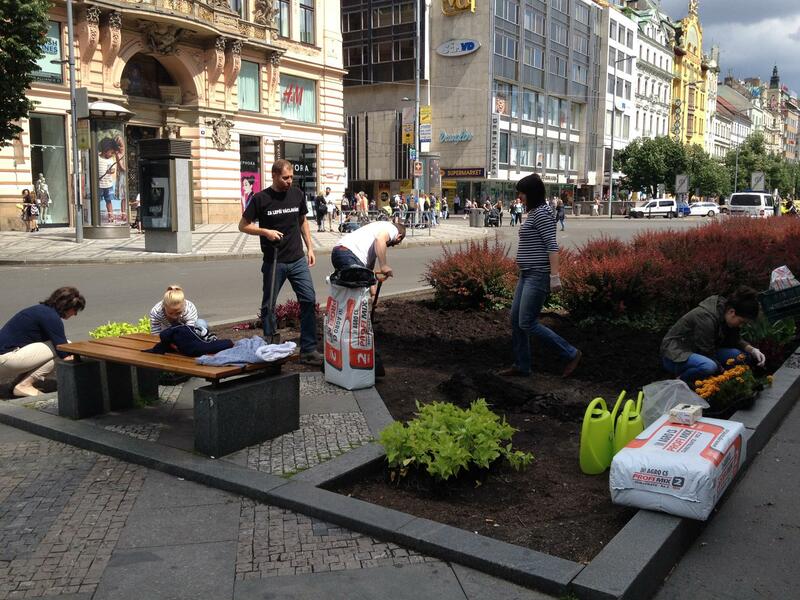 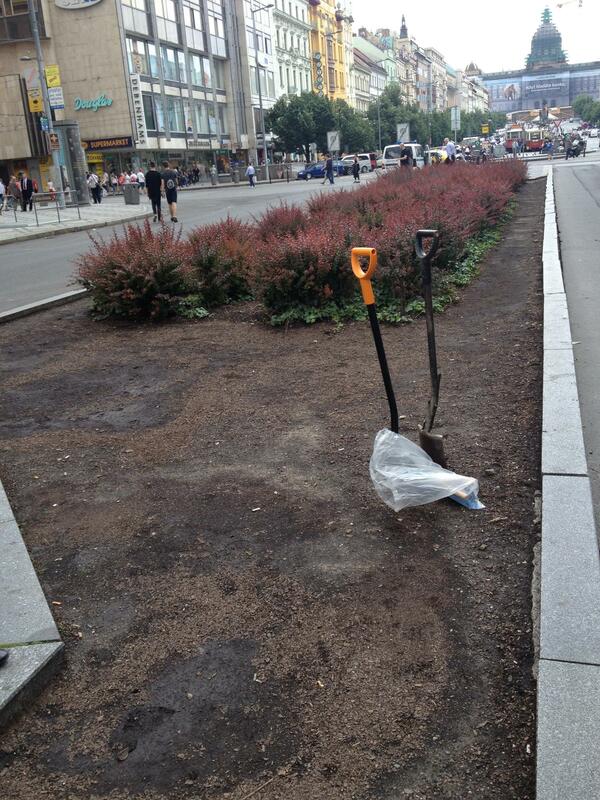 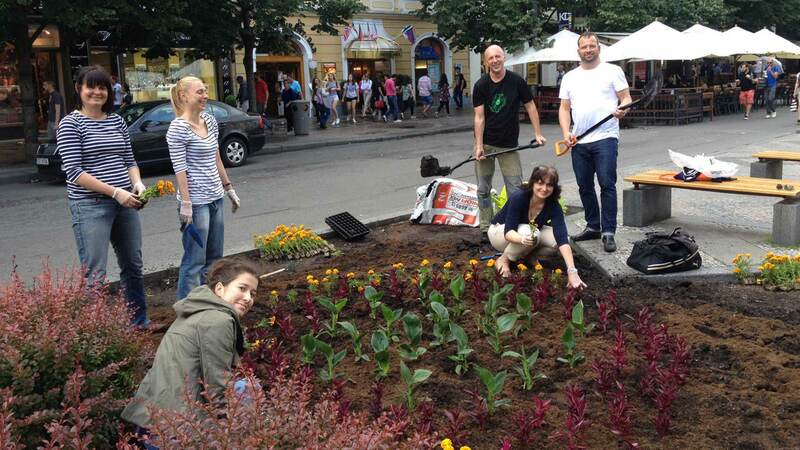 As part of the 72 hours with the Czech Council of Children and Youth project, and with the participation of Mayor Lomecký, we planted an autumn array of chrysanthemums and ornamental cabbage there. 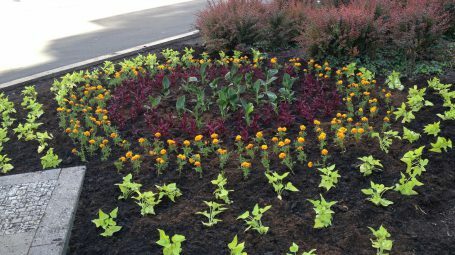 The flowerbed was beautiful until virtually the end of February. 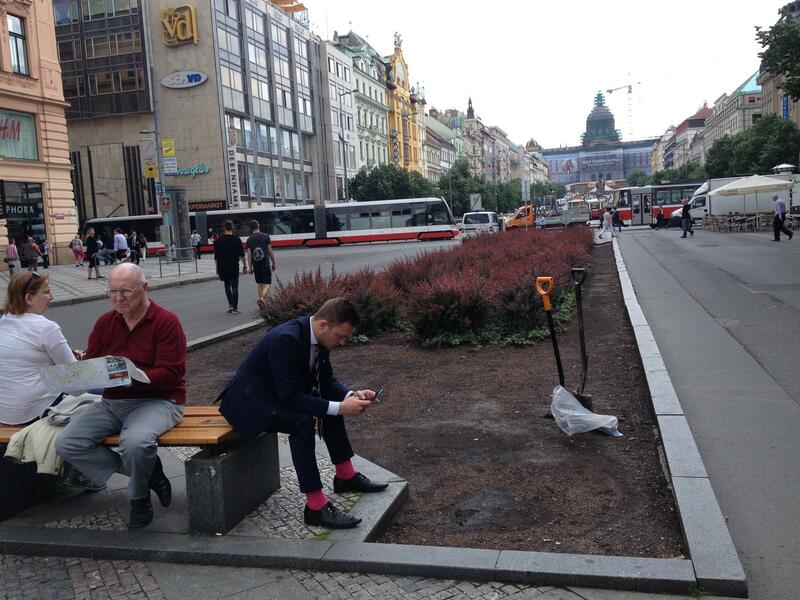 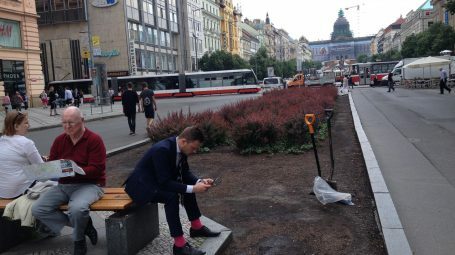 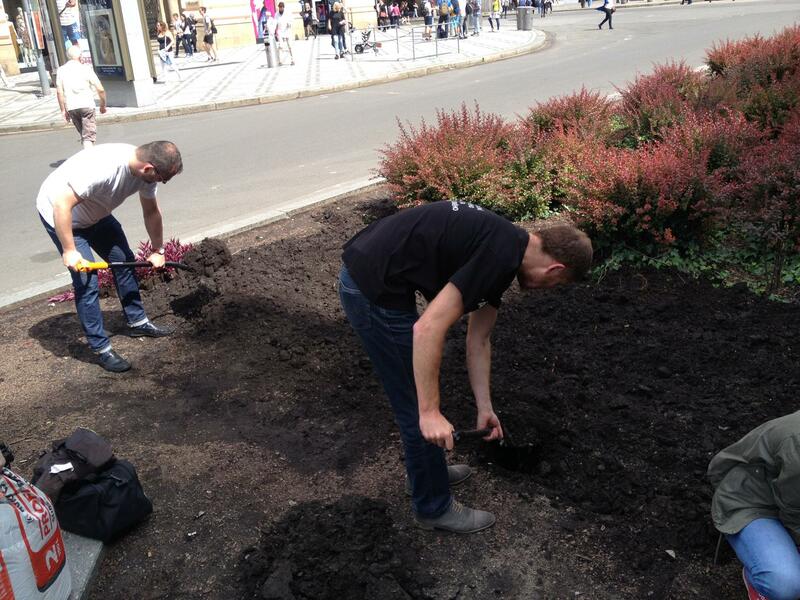 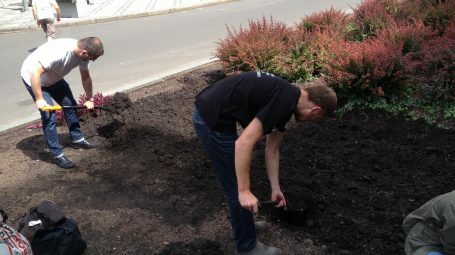 We decided to continue this beautifying, rapport building and liberating activity (especially for office workers) and planted a total of 208 flowers in the sunshine. 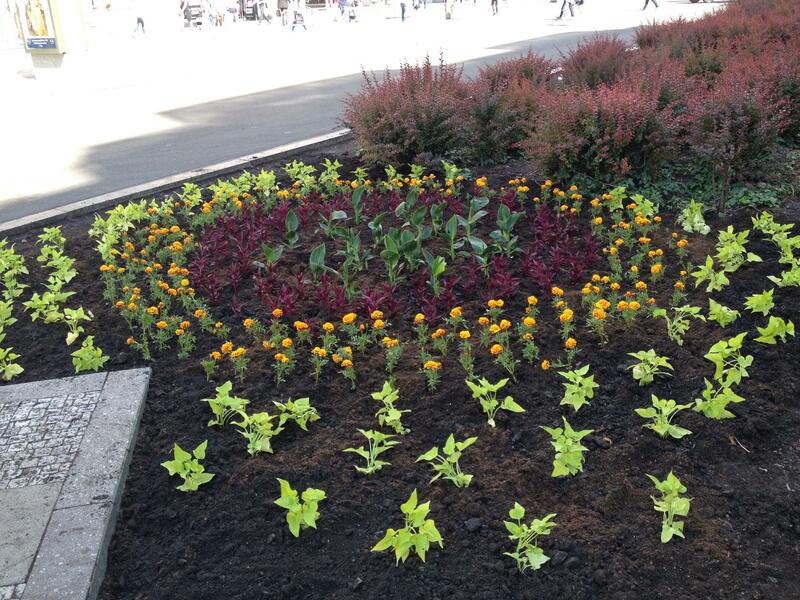 Gorgeous yellow Channa will bloom in the centre, surrounded by Iresine, followed by timeless Tagetes, all framed by Ipomoea in the corners. 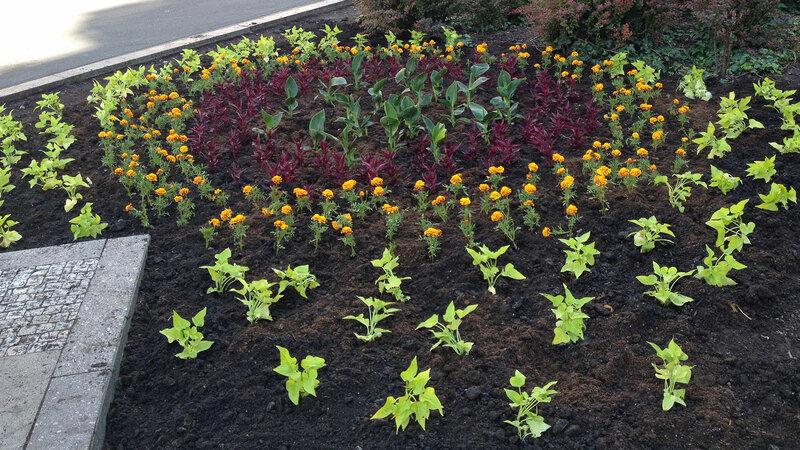 We first dug the whole bed over, added soil and substrate and then planted. 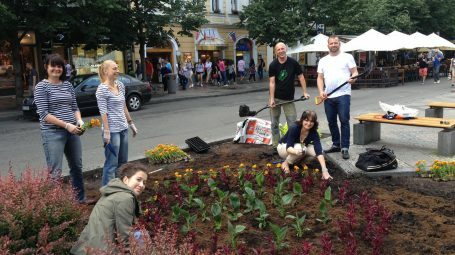 It took eight enthusiastic people only an hour and a half under the supervision of an experienced florist and 15 thousand from the association’s budget.